In modern life, people suffer from frustrations, hassles, anxiety, demands and work deadlines, so stress becomes a part of the life in most of people. Normal stress or anxiety is not bad for the health unless it causes a hindrance in the daily routine. The relaxation and adequate sleep remove the most of stress from the mind and prepare the person for next day activities. When stress causes a hindrance in the routine work and a person becomes irritable, anxious and feels restlessness, sleeplessness or experiences other stress symptoms, the medical attention becomes important. The stress is a state of mental or emotional strain. It disturbs the natural physical and mental balance of the person and causes some psychosomatic health problems in the body. Ayurveda, the science of life, has proven very effective in managing stress and anxiety naturally. This ancient healthcare discipline is an amalgamation of treatments and remedies that have been in existence for over 5000 years. The ayurvedic cure is based on balancing mental and body humors in order to cure anxiety and stress naturally. In addition to this, Ayurveda also recommend relaxation therapies such Shirodhara, ayurvedic body massage along with organic indian herbs and ayurvedic medicines in lowering stress.  Ayurvedic clinic "Pure Herbal Ayurved Clinic" located in Melbourne, Australia has to offer the best stress and anxiety natural cure. The herbs that have a stabilizing effect on the mind have been classified as Medhya Rasayanas in Ayurvedic manuscripts. These herbs are used in Ayurvedic Preparations that serve as nervine tonics. The therapeutic benefits of such Ayurvedic Medicines include improvement in memory and concentration, peace of mind, biological nourishment of the brain and alleviation of behavioral disorders. Pure Ayurved Herbal Clinic helps many patients with the help of following herbs to cure stress and anxiety combination. You can get this combination of herbs in veggie capsule at our Ayurvedic Clinic based in Melbourne after a complete assessment of your condition by our most qualified and experienced Ayurvedic doctors working in Australia. Ashwagandha contains withanine and withanolides, which are main alkaloids responsible for the medicinal value of ashwagandha. It relieves manic, depression, anxiety disorders, mood phobias etc. Jatamansi takes mind towards positive thinking and pacifies the mind. Stress modulating and anti-oxidant properties of Nardostachys jatamansi came to the fore in a research conducted by Tapas Kumar Sur et al. The hydroethanolic acid extract of N. jatamansi showed potent antioxidant activity and significantly reversed the stress-induced elevation of lipid peroxidation and NO levels and decrease in catalase activity in the brain. Turmeric contains curcumin and curcuminoids. It has anti-inflammatory and analgesic properties, so it is also used in the treatment of arthritis. It improves the mind and body strength to tolerate the external stimuli or stress. It is a potent remedy to combat depression caused by seasonal changes. 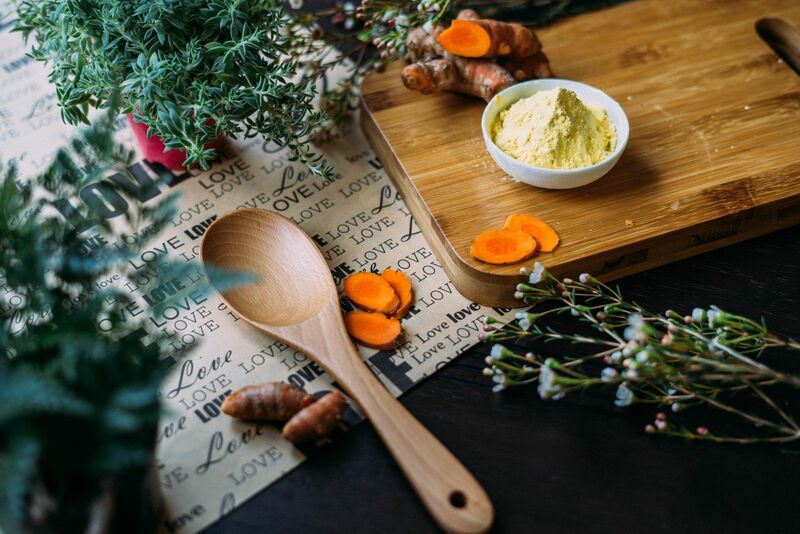 Dr. Ajay Goel, the Director of Epigenetics and Cancer Prevention at Baylor University Medical Center in Dallas, Texas has done extensive research on the healing properties of Turmeric (Curcuma longa). It reduces inflammatory markers in the bloodstream, which travel to the brain, and it helps prevent low levels of serotonin, noradrenaline, and dopamine. It also promotes neurogenesis – brain cell formation- notably in the frontal cortex and hippocampal regions of the brain. 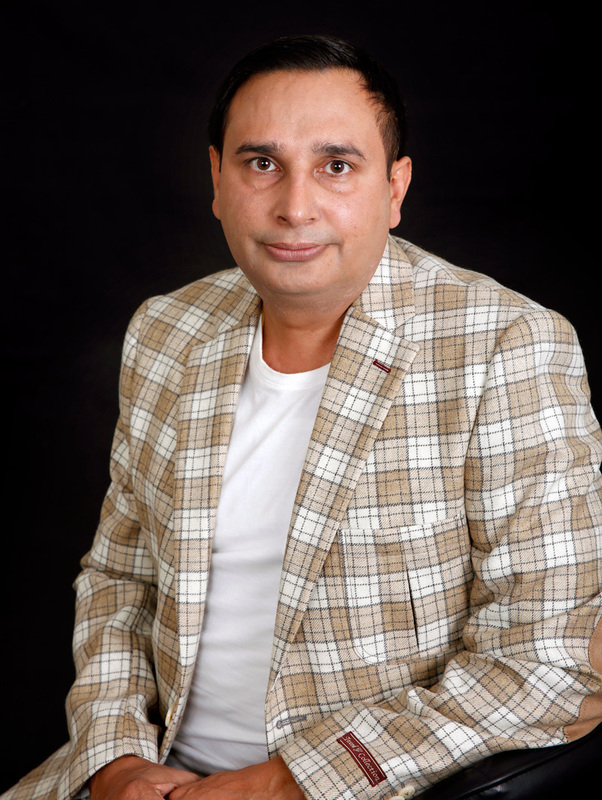 Epidemiological studies by Patel Pankti S et al reveal that people who consume curcumin in daily life have sharper brain functions and higher cognitive abilities. Curcumin acts as an inhibitor of monoamine oxidase (MAO) enzyme and also modulates the level of various neurotransmitters. It rejuvenates the mind and provides its biological nourishment. Bacopa monnieri contains alkaloids such as brahmine, herpestine and nicotine, which relaxes the mind and hence reduces the stress. However, gugglu is an effective remedy for the inflammatory diseases and arthritis. It also has calming effect on the mind and relieves depression and stress. In Indian Medicine, Shankhpushpi is the best brain tonic used for stress disorders, boosting memory, enhancing mood and relaxing the mind. Yashtimadhu is used for acidity, GERD, gas, ulcer, ulcerative colitis and arthritis. It is also beneficial for the people with stress or depression. It contains glycyrrhizin, which is responsible for its medicinal value. A research conducted by Kajaris Divya and Chandola H.M on the effect of Yastimadhu (Glycyrrhiza glabra) root extract on wistar albino rats substantiates that constituents present in aqueous root extract have neuronal dendritic growth stimulating properties. Vacha is a nervine tonic and enhances higher mental functions. It is an ideal herbal remedy for stress, depression, anxiety, moodiness and loss of enthusiasm. It brings the feeling of positive excitement and boosts the mood. Following ayurvedic therapies are used by most of the ayurvedic doctors to cure stress and anxiety. It involves the use of therapeutic laxative for purgation and provides symptomatic relief in mental illness. It is enema therapy and removes toxins from the body. 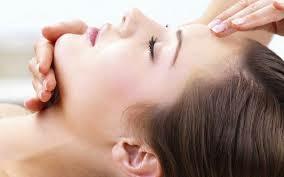 Nasya treatment promotes mental clarity and suppresses stress. In this treatment method, nasal medication serves a purifying agent for the head where sensor faculties are functional. 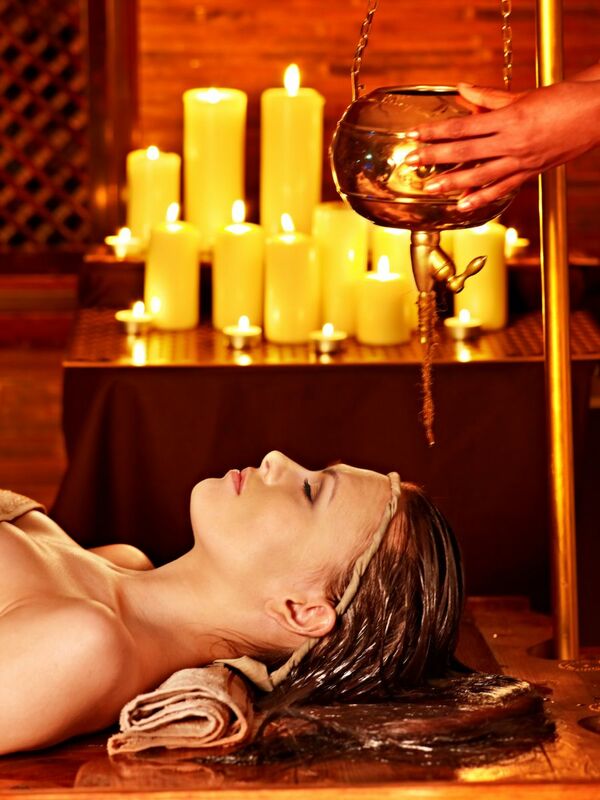 Shirodhara treatment cleanses both the mind and the body. In this treatment method, a concoction of herbal oils, medicated milk and medicated water is poured over the forehead for over half an hour. It relieves stress, tension, anxiety, depression and rejuvenates the mind. Here are a few potent Ayurvedic herbal medicines and remedies for Stress Management. Meditation is a great way to get rid of stress and anxiety. 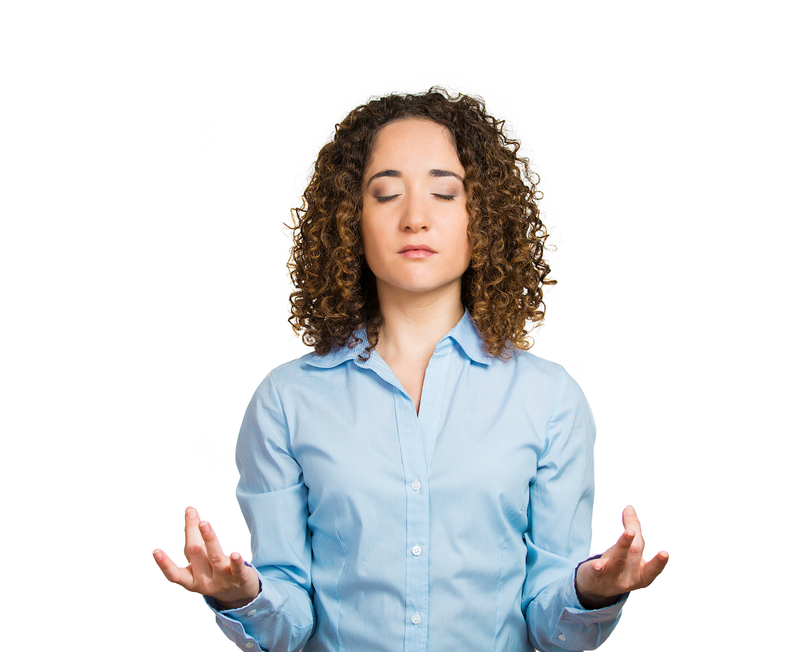 A person suffers from the stress disorders and depression should do at least 30 minutes meditation twice a day, especially evening meditation is considered more effective in the management of stress and depression. It also helps to relax the mind after finishing daily routine work. Sun salutation is yoga exercises very useful in the treatment of stress and depression. The other yoga poses include Child's Pose (Balasana), Bridge Pose (Setu Bandha Sarvangasana), Standing Forward Bend (Uttanasana), Eagle Pose (Garudasana), Corpse Pose (Savasana), Extended Triangle Pose (Utthita Trikonasana), Legs-Up-The-Wall Pose (Viparita Karani), Puppy Pose (Uttana Shishosana), Cat Pose (Marjaryasana) and Dolphin Pose. Do regular exercises. Exercises are effective natural remedy to combat stress and depression. Regular exercise boosts the level of serotonin and endorphins in the brain, which helps the person to feel good. Eating well is also a crucial part of stress management. A well balanced diet keeps the energy level up and reduces the mood swings. Take adequate sleep and try to sleep at least 8 hours a day. Sleep is a natural remedy combating with depression and anxiety. Sleep deprivation can also cause irritability, sadness, moodiness and body fatigue. Make some string social connection with people and reduce being isolated yourself from the other people. Stay in regular contact with family and friends. try to spend more time with children and friends. Play a game in which you have interest. Playing games are also beneficial in reducing stress and treating depression. Book Your Stress Relief Appointment Today! 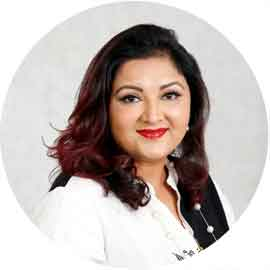 In case you are suffering from stress, anxiety, depression or any disorder that hinders you normal functioning, it is time you book your appointment at Pure Herbal Ayurved Clinic. Here you get a complete personal evaluation by highly qualified Ayurvedic doctors and trained therapists. 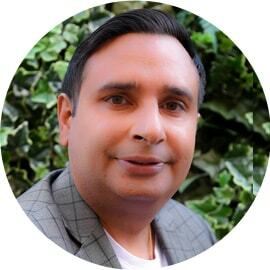 Under the supervision of Dr. Gurnam Saini and Pooja Saini, you get the most effective treatment programme, dietary advice and self-care guidance at this Ayurvedic Clinic.